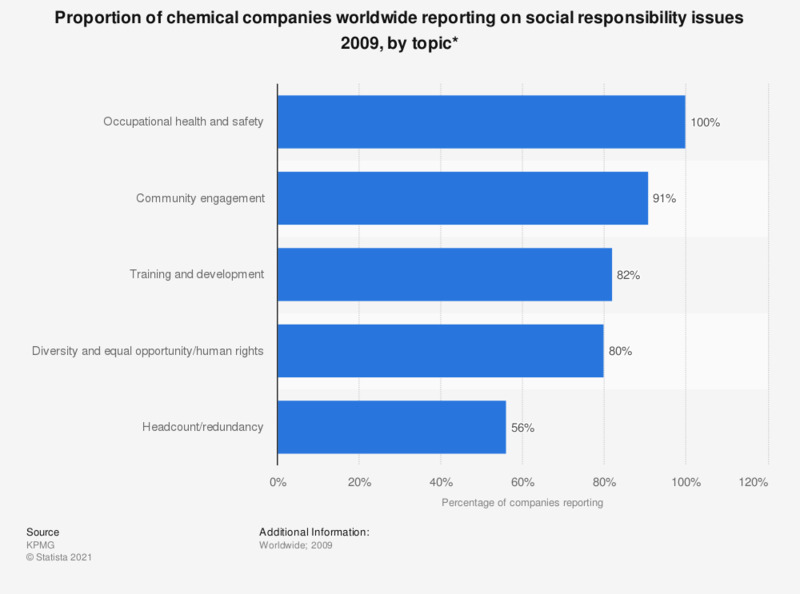 The statistic depicts the proportion of chemical companies worldwide that reported on social issues in 2009, by topic. That year, 91 percent of chemical companies reported on community engagement issues. * Based on a ranking of the largest 50 chemical companies, by revenue.